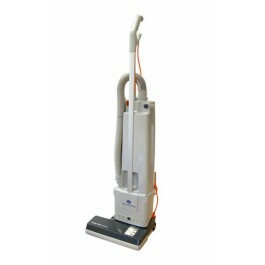 The JohnsonDiversey Taski Ensign 460 Plus is a twin motored vacuum with electronic pile sensor that allows manual adjustment of the brush height. A fully operational brush speed control prevents the motor from overloading. The vacuum also features a visible warning light that indicates a full bag or hose obstruction, and electronic cut off. 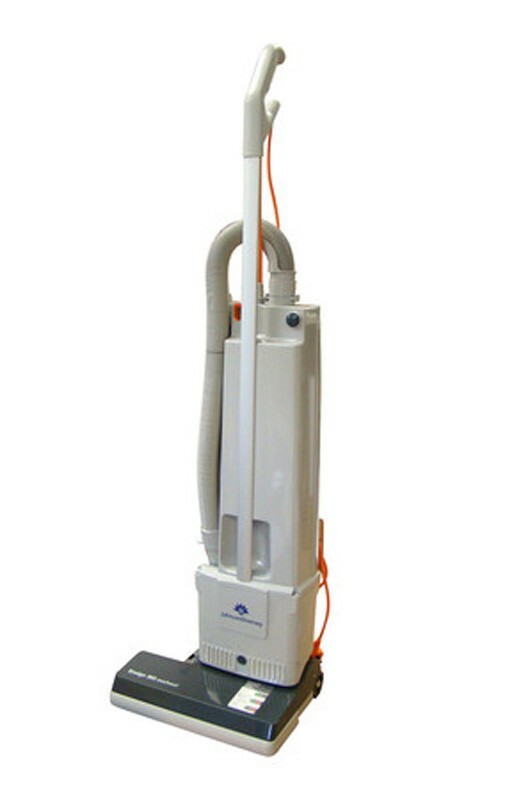 The Ensign 460 also comes complete with a micro filter with three stage filtration allowing it to be used in dust sensitive areas such as hospitals, hospices, schools and nursing homes. Adjustable brush height for use on different carpets. Two motors for one pass cleaning increases productivity. Electronics provide functional improvements, as well as brightness and clarity of display. Brush strip can be changed tool-free, by the push of a button. Underneath the machine, a clean out door allows the user to clear blockages. Complete with "Go Anywhere" vacuum hose. Replacement Taski Ensign 460 vacuum bags available from stock.